Pastor John Hallman will lead this class through the book JESUS OUTSIDE THE LINES. Tackling the issues of today, Jesus Outside the Lines, draws from the words and actions of Jesus and how we can hold firmly to our beliefs without perpetuating divisiveness. “Jesus offers us a way forward – away from harshness, caricatures, and stereotypes.” – Author of Jesus Outside the Lines and Senior Pastor of Christ Presbyterian Church in Nashville, TN. 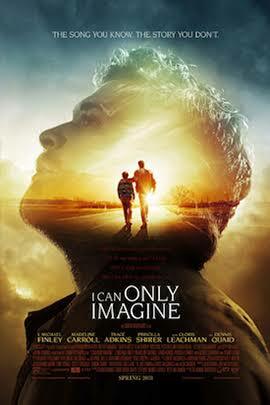 I CAN ONLY IMAGINE - Have you ever felt rejected, guilty, or broken? Before he became the lead singer of MercyMe, Bart Millard suffered through a painful childhood, which led to him building walls around his heart. In the I Can Only Imagine Bible Study and Church Resources, Bart shares his story and leads you on a redemptive journey to see yourself through God's eyes. Find rest in His approval, purpose, and eternal hope as you reveal the heart of the God who loves you...more than you can imagine. Led by Brent Kendall. NEW SUNDAY SCHOOL CLASS - Discussion of the book: People I Met At The Gates of Heaven: Who Is Going to Be There Because of You? McArn Room #33, Leaders: Jim and Marianne Burton. The book is free while copies last. Dr. Larry Parrott leads this class using a Bible in one hand and a newspaper in the other. He uses the Bible along with today’s current events / headlines to see how we as Christians ought to live in today’s world based on the Word of God.